Fender guards for your motorcycle - order fender guards for your motorcycle at moto24.co.uk! 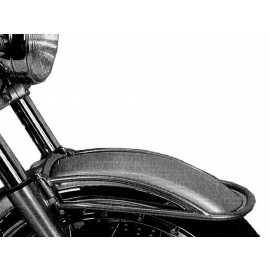 A fender guard is a chrome-plated rail that can be mounted on the front fender of a chopper motorcycle. Thanks to the chrome, fender guards are not only visually an eye catcher, they also have really useful features. The guard protects from dings and scratches when you are a little bit too careless. Therefore, the investment in a high-quality fender guard is a wise investment. 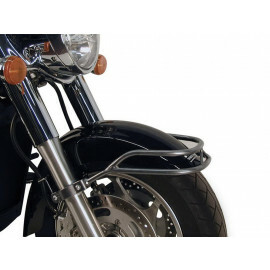 For many bikers fender guards are an absolute must for visual reasons alone. Some bikers simply can’t get enough attachments on their choppers. In our moto24 shop you can find the right fender guard for almost any kind of motorcycle. Not sure which one to choose? Contact us, we are always glad to be of assistance.